It’s another episode of veganized! That’s where I take a viral recipe video and challenge myself to make it vegan. 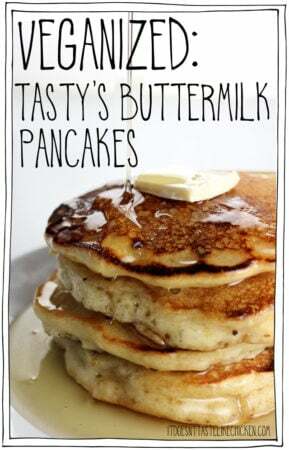 Today, I was inspired by Tasty’s Ultimate Buttermilk Pancake Recipe. In Tasty’s video, they use traditional pancake ingredients: buttermilk, eggs, and lots of butter. 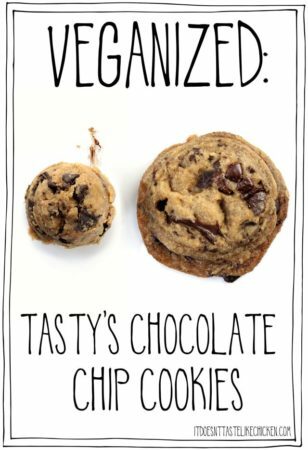 I wanted to stick to the recipe as closely as possible while making it vegan. For the buttermilk, I subbed non-dairy milk mixed with lemon juice. Mixing in the lemon juice makes the non-dairy milk curdle making an instant DIY buttermilk! For the eggs, I skipped relacing the yolks, but I did replace the egg whites with aquafaba, which is the liquid in a can of chickpeas. And of course, the butter was an easy sub as I just swapped in vegan butter. The result is a delicious, fluffy pancake you would never know was vegan. Now while I do love the end result of this pancake, I think there are a few fussy steps here (and I hate fussy steps). So in the end, I still prefer my Pillowy Pancake recipe in my cookbook Fuss-Free Vegan, which is not only easier and quicker to prepare, but just as tasty. 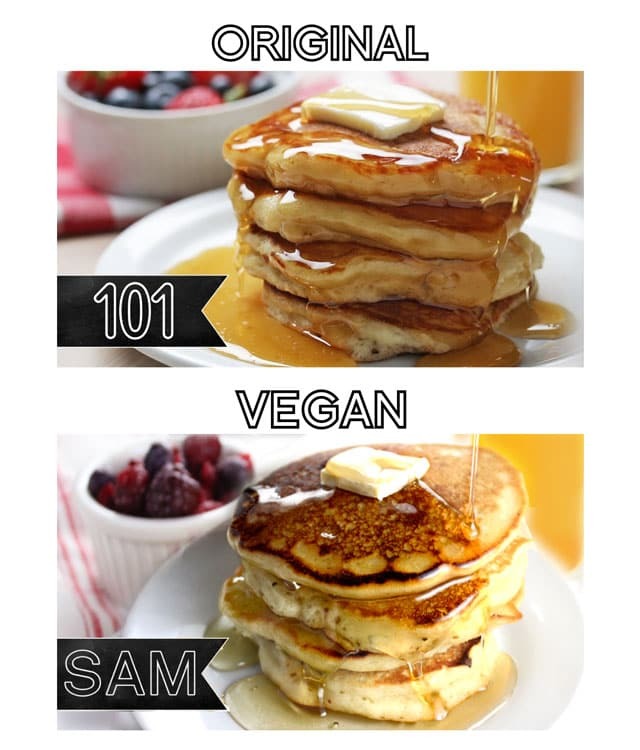 Either way, I have posted the final veganized Tasty pancake recipe below, so give it a try if you like. 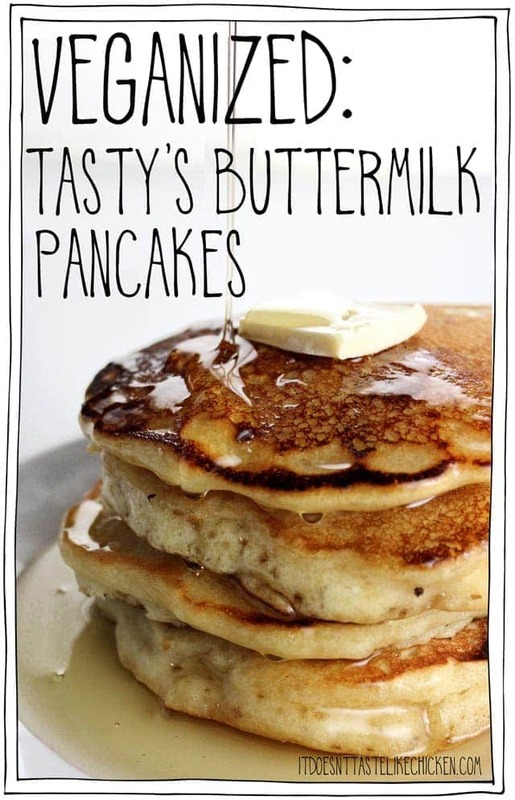 This recipe was adapted from Tasty's Ultimate Buttermilk Pancake Recipe as a fun experiment. The end results are yummy, but I personally prefer my Pillowy Pancake recipe in my cookbook Fuss-Free Vegan for an easier, and just as a delicious recipe. In a medium bowl or measuring cup mix together the non-dairy milk and lemon juice so that it curdles. Whisk in the melted vegan butter. Pour the milk mixture into the dry mixture and gently fold. Now add the aquafaba and continue to fold. Don't overmix the batter, it should be very lumpy. Let the batter rest for 15 to 30 minutes. Side note: I found this resting time didn't make much of a difference, so skip if you prefer. When ready to cook pancakes, use a large cast iron skillet or non-stick pan. 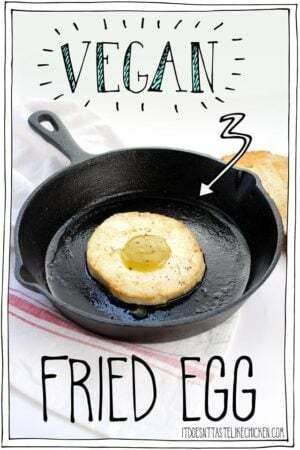 Melt a dab of vegan butter in the pan and then pour in a heaping 1/3 cup of pancake batter. For extra thick pancakes, do not spread the batter. Cook a few minutes until the bottom is browned and bubbles appear on the top of the pancake. Flip and cook 1 to 2 minutes more on the other side. Repeat with the remaining batter. In the past, when I made non-vegan pancakes, I added whipped egg whites as the last step. It made the batter very light and the pancakes high, What do you think about whipping the aquafaba? Thanks. for the recipe. Thank for sharing! What does the lemon juice do? 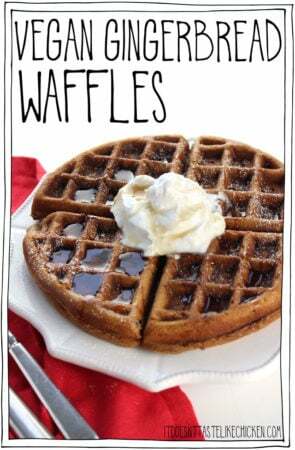 Activates the baking soda so it fluffs up the pancakes. Enjoy! These pancakes made my eyes roll in the back of my head, they are SoOoOoOoOo good. Oh my gawd. I will never make anything else again. Thank you. 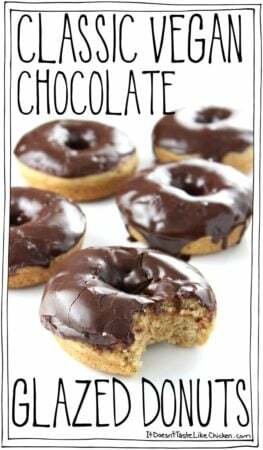 I received your book for Christmas and am so grateful for some simplified recipes that look delicious! You frequently use white/all purpose flour and white sugar. Is this to simply the reciepes? Or do they taste better with these products. If not, would it be nutrionally beneficial to use whole grain ingredients? Welcome! I use all-purpose flour and white sugar because I design my recipes to be as easy as possible using ingredients that most people have in their kitchens already. Whole grain flours are definitely more nutritious so if you want to substitute them, make sure you read a guide on how to do that. Enjoy! Could i use rice milk? Absolutely! I haven’t tested gluten-free flour so I don’t know the result it would give. 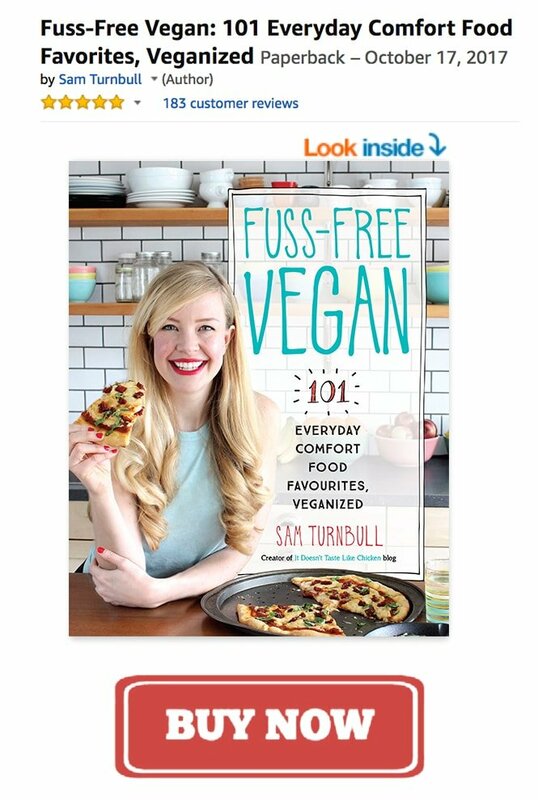 Hi Sam, I know this question has nothing to do with these pancakes, but have you got a recipe for vegan marshmallows? I miss them so much!!! I have a recipe for vegan marshmallow fluff. No marshmallows yet, but you can buy vegan marshmallows online. 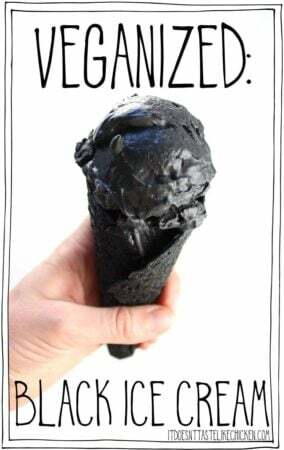 Thanks Sam, I’ve bought vegan marshmallows on line in the past, but it would be great just to make them when ever the fancy took me! I’m going to try your recipe for fluff asap, but I’m sure being the genius that you are you’ll come up with marshmallows soon! 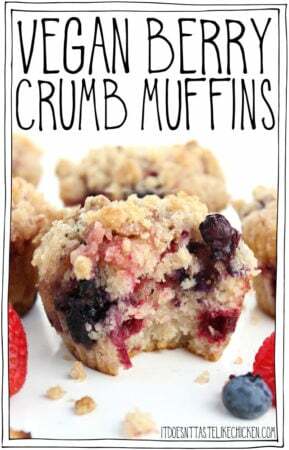 I made these this morning. I whipped the aqua faba, and used no butter. My almond milk didn’t curdle – which surprised me. I used a non stick skillet. They were pretty good. A little gummy. But fluffy and good. I wanted to put a picture in the comment but I can’t. Did you actually try to curdle the unsweetened almond milk? Mine didn’t. tried adding more lemon, then some vinegar, Nothing. Any suggestions other than getting some soy milk? If it doesn’t curdle, don’t worry about it, it should still work fine. Enjoy! Delicious! Nice to see you burn some…hehehe. I feel less alone! Bahaha! I always burn at least one. Looks amazing Sam!! Cant’t wait to try! Btw, I made your creamy coconut mushroom pizza the other day and it went down an absolute treat…even though I hate coconut!! I don’t know how your recipes always seem to do this to me, tricking my tastebuds haha! what is this wizardry?! Thank you. My granddaughter said she was almost willing to forgo her vegan status for a big fluffy pancake. Now she can have just that and stay true to her beliefs. Thank you, thank you, thank you.